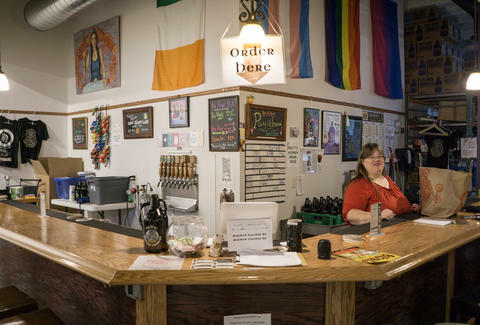 On St. Paul’s East Side, in a subterranean den formerly used as storage for a drug store, sits Sidhe Brewing, the Twin Cities’ homiest Irish pub. Sidhe features clunky and charming furniture. Their beers are unassuming and clean, and on a weekend night, you can listen to dominoes clack on tabletops between the strums of an acoustic guitar and drink them in series. Above the bar hangs the Irish tricolour, obvious decor for the Gaelic-named microbrewery, but it’s less than a quarter of what makes Sidhe so comfortable. Pinned next to the Irish banner is the familiar LGBT rainbow flag; next to it are the pink/purple/blue arms of bisexual pride; next are the powdery pastels of the transgender pride banner. These are the pillars of the queerest, most radically inclusive brewery in all of Minnesota. Unlike many breweries launching today, Sidhe has no specialty. Though Culhane closely resonates with her Irish heritage, Sidhe doesn’t reflect Irish brewing customs per se. Rather, Culhane’s heritage shines in the welcoming, unassuming custom of the pub she loves. Flagship Bohemian pilsner Payne Reliever is the best example of this mentality at work. With a refreshing paleness and a crisp finish, the brew was formulated to honor the blue-collar Payne-Phalen neighborhood where Sidhe is located, and Culhane proudly calls it the “perfect gateway beer.” Likewise, Bast Kissed cream ale and H.U.M. American IPA hit the lips easily and without presumption -- no beer nerdery required or expected. Even the hearty, big-concept Barking Cat Belgian golden strong appeals to novices with its banana and clove esters welcoming you into the glass. 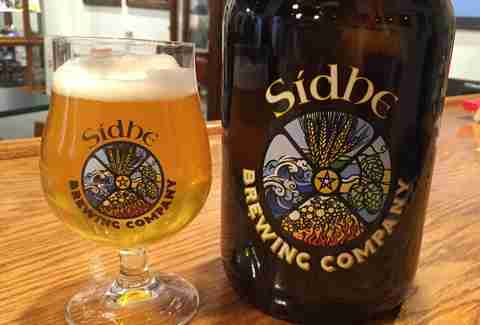 Sidhe would be most accurately categorized as a nanobrewery. In fact, their two-barrel system is the smallest production brewhouse in Minnesota. 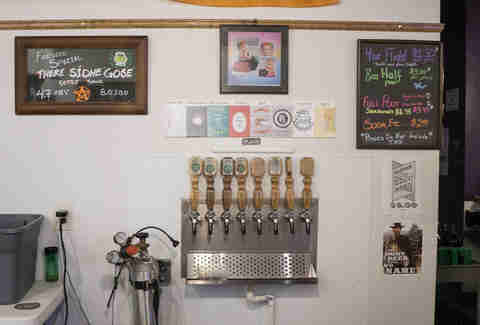 This allows Culhane to constantly experiment with and tap new beers. She’ll brew any style so long as it fits the mold of universal inclusion. Culhane has a background in industrial manufacturing and was contracting for 3M before she founded Sidhe. Homebrewing had been a passion since before she relocated, but she never treated it like a viable career until she saw her contract coming to an end and her prospects dimming. Culhane spent the next few months securing funding and refining her recipe. She still has stacks of clipped-together recipes and experimental results dating back to 1998 in her file cabinet, and together with the library of brewing textbooks she accumulated, these documents meticulously track Culhane’s transition from hobbyist to self-made beer entrepreneur. Culhane also tried to procure hands-on training by offering to work small jobs at breweries. She networked at beer conferences and festivals, offering to wash kegs and kettles in exchange for commercial training. Four breweries had the chance to hire her on, but all ultimately declined. Brewing has long been the preoccupation of the straight and cisgendered, with anything aside from gruff heterosexuality considered anathema to the very purpose of beer. Although the LGBTQ community is becoming more and more engrossed in the brewing world — partially through events like the annual Pride Dabbler – the percentage of the craft beer community that identifies as gay, trans, or otherwise non-cis is infinitesimally small and habitually overlooked. Picture a brewer in your mind, and the first image to come to mind is a hirsute, presumably straight, white man. Culhane built Sidhe to destroy this association. But her tactic is not subversion or shock and awe. By taking up the façade of a homey Irish pub, Sidhe wanted to prove that gender and sexuality are secondary to humanity. With a beer in hand, everyone is equal. 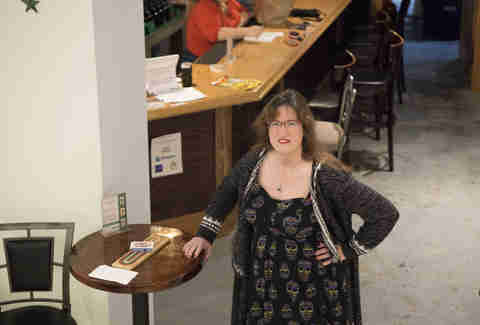 Culhane cut costs by doing much of the construction on the 1,000-square-foot Sidhe taproom herself. She custom welded their keg washer and pieced together a modular two-barrel system that rolls to fit the claustrophobic brew floor. She even hung the sheetrock herself, earning her a four-inch scar on her palm after a ladder slipped out from under her. Doing the contracting herself allowed Culhane to imbue the space with another important facet of her personality: Wicca. Everything Culhane can’t guarantee with her scientific background is treated by her brand of eclectic pagan magic. To ward off what she calls “icky energy and spirits of ill intent,” she buried crystals in the corners of the taproom—citrine for success and personal power; rose quartz for love and hospitality. Wicca is an indelible symbol in Sidhe’s branding; its logo shows a pentacle—a trademark Wiccan emblem—balanced by the core elements of earth, wind, water, and fire. This belief is also represented on the wall behind the bar, where a nymphic deity is painted in blue light and hung next to the four flags. Of the many tenets of Sidhe’s identity, Wicca is the one that has the strongest elemental link to the process of beermaking. Every single batch pumped out of Sidhe’s system is warded with a ritual that Culhane wrote for her brewery. Culhane performs the ritual on a makeshift altar she built on a toolbox on her brew floor. To ward the beer, Culhane invokes Ninkasi, the Sumerian goddess of grain and brewing, as the female deity. For the male deity, she invokes Aegir, a Norse sea god famed for throwing magnificent beer banquets. If Sidhe Brewing proves anything, it’s that alchemy is effective. There is transformative power in sitting at the axis between worlds. By combining culture and custom, gender and sexuality, and science and magic, Sidhe is crossing boundaries—because that’s exactly what beer was invented to do.